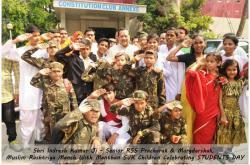 In order to bring the wise tactics of life, along with the supreme aim of reinventing combustible younger generation at spiritual level, Divya Jyoti Jagrati Sansthan (DJJS) - a non-profit and spiritual organization, headed and founded by Shri Ashutosh Maharaj Ji, organized a spiritual congregation at its Nurmahal Ashram situated in Punjab on 21st January, 2018. 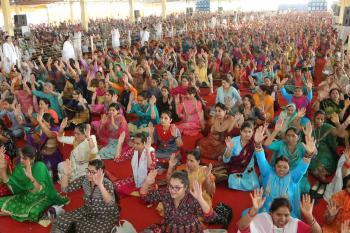 Hundreds of devotees attended the event. Satsangs provide people with an opportunity to keep them engaged in divine centered thoughts and actions and remain focused on their respective paths. 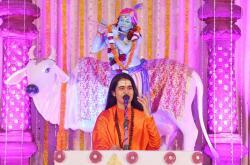 True satsang is realization of self or the union of the individual self with the universal self. 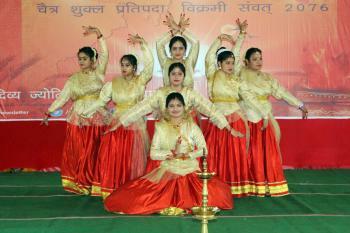 The event was titled as “Yug Nirmani Nari”. This world has always experienced the inner power and strength of women which is often manifested in their personalities. The life-changing thoughts and unending inspirations given by women have always contributed to the welfare of the society. 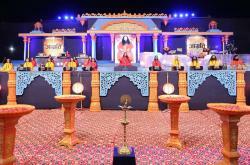 Revered Spiritual Master of the time, Shri Ashutosh Maharaj Ji reveals, “To alleviate women from repeated cycles of subjugation, we must work at two levels – one is that the society should be made aware of the status of women as in the Vedic times and secondly, women themselves should realize their real self-worth. And to make both a living reality, ‘Self-Awakening’ is the only solution.” His Holiness often reveals that the root cause of every corrupt deed is the corrupt mind behind it. It is only through redirecting our thoughts towards the Divine that we can be fully awakened with the discretion of right and wrong, the good and the evil. 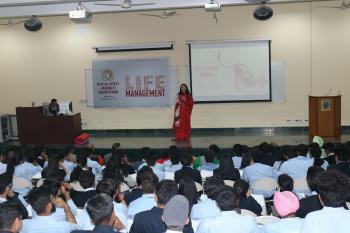 The program was organized for a supreme purpose to motivate devotees to move in the correct direction and understand the purpose of life. 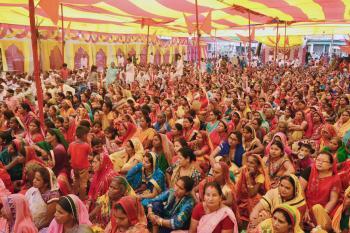 The devotees basked the knowledge of unceasing invaluable inspirations with the blissful divine bhajans and discourse. The spiritual discoursers of the day infused the environment with divine vibrations through her mindful and thought-provoking ideas. 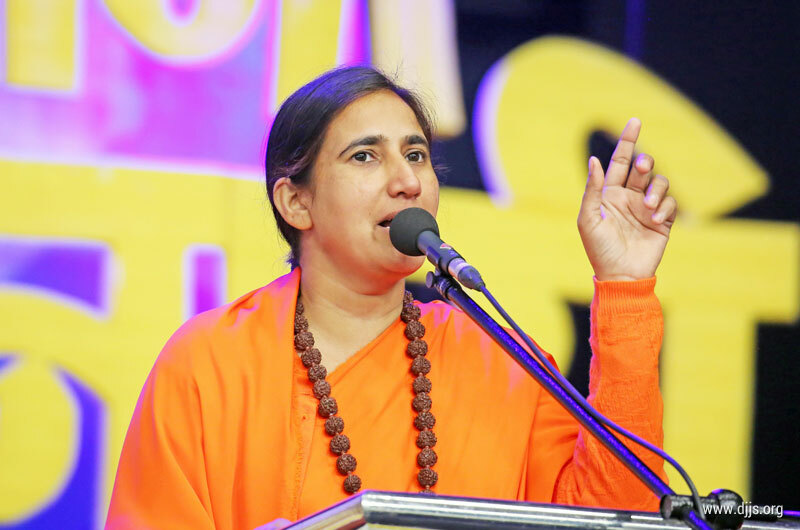 Sadhvi Ji encouraged each of them to awaken at their soul-level in order to realize the inner-power. The importance of spirituality was well explained by stating that the art of divine knowledge when practiced regularly through mediation leads to overall development of a being leading to transformation. In life there are numerous people who truly deserve our gratitude. Spirituality is the only way through which we can attain peace both inside and outside. One who walks on the divine path of bhakti under the guidance of spiritual mentor is able to attain both the spiritual and worldly goals of life. With such a powerful tool being put in application, hopes have certainly revived to see a world adorned with adjectives like, happy, blissful, and peaceful, where there is no place for ailments, turmoil, and sadness. 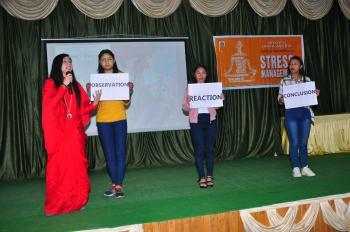 The program was inclusive of prudent talks on understanding the importance of meditation. Further, Sadhvi Ji emphasized on the power of meditation, which is the major source of all power, strength, positivity and divinity. She encouraged everyone to walk in unity for the welfare of this world. 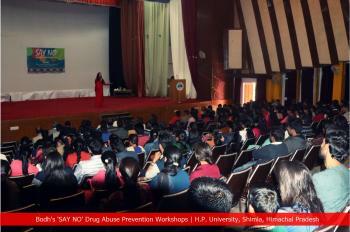 The program ended with positivity, blissful thoughts and never ending determination to achieve the goal. The divine presence of His Holiness motivates the disciples to be spiritually determined. The goals and visions are confined to some boundaries; the mission of the Spiritual Master is supremely vast! His aim encapsulates the accomplishment of the toughest task in the world, i.e. to bring reformation in every individual in terms of his thoughts and actions. Community feast (langar) was the part of spiritual congregation where vast numbers of people contribute their selfless service and sit together as a part of large DJJS family.